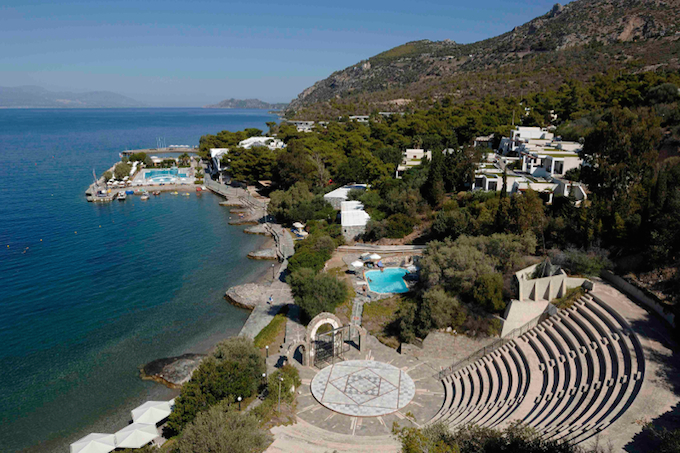 Wyndham Hotel Group and hotel development consultants Zeus International have announced the opening of two new hotels in the Greek seaside town of Loutraki. The 107-suite Wyndham Loutraki Poseidon and the 196-room (and bungalows) Ramada Loutraki Poseidon Resort follow in the wake of the opening of Wyndham Grand Athens, which marked the groups’first joint venture. The two groups have also announced plans for expansion in the next decade with 20 hotels in Greece, Cyprus, Bulgaria and Romania. Dan Ruff, Wyndham Hotel Group’s president and managing director, EMEA said: “The Wyndham Hotel Group has ambitious development plans for Greece, and Zeus International has found a remarkable partner with whom the expansion of our presence in Greece will become a reality. The two new Loutraki hotels stand on the site of the historic Poseidon Resort Hotel about an hour’s drive from Athens near the major tourist destinations of Nafplio, Epidavros and Delphi. The properties offer a range of facilities and amenities including nine meeting rooms that can cater to 650 people and an outdoor amphitheatre on the beach that can accommodate up to 900 people. The hotel also has five indoor and outdoor pools, a spa, gym and sports facilities including tennis courts, basketball courts, mini golf grounds, a children’s playground and a wide variety of watersports.